A whole year's worth of linguistic curiosities, just waiting to be discovered. ; Within these pages you might leap back in time, learn about linguistic trivia, follow a curious thread or wonder at the web of connections in the English language. ; 1 January quaaltagh (n.) the first person you meet on New Year's Day; 1 April dorbellist (n.) a fool, a dull-witted dolt; 12 May word-grubber (n.) someone who uses obscure or difficult words in everyday conversation; 25 September theic (adj.) an excessive drinker of tea; 24 December doniferous (adj.) 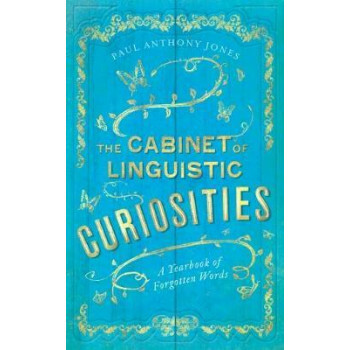 carrying a gift; Paul Anthony Jones has unearthed a wealth of strange and forgotten words: illuminating some aspect of the day, or simply telling a cracking good yarn, each reveals a story. Written with a light touch that belies the depth of research it contains, this is both a fascinating compendium of etymology and a captivating historical miscellany. Dip into this beautiful book to be delighted and intrigued throughout the year.